The Vines Convocation Center, which opened in November 1990, is the home of Liberty University volleyball as well as men’s and women's basketball. The facility, which also plays host to Liberty University Convocation services and concerts, has undergone extensive renovations in recent years. The LaHaye Student Union is home to the LaHaye Recreation Center. 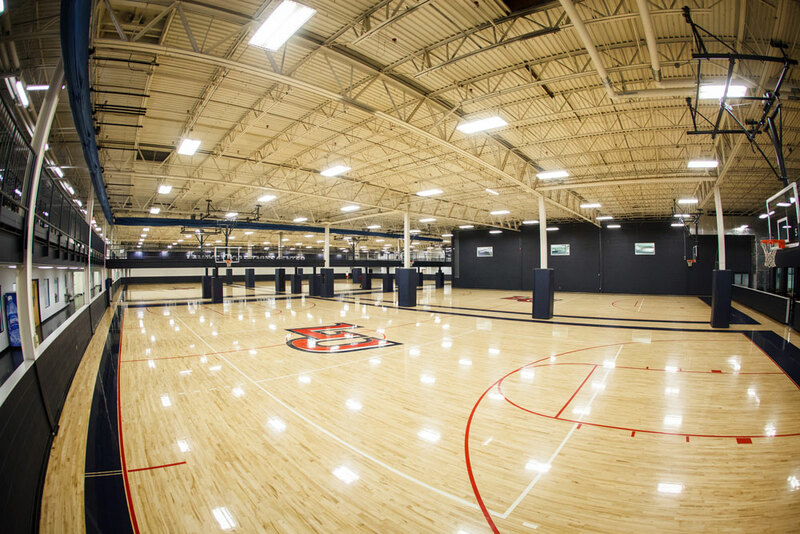 The recreation courts includes 7 basketball court, up to 9 volleyball courts and 4 racquetball courts, which is the primary home of Liberty Volleyball Team Camp. All team camp matches and evening activities are held in LaHaye.